The rolling one is actually on the books to head to the Red Planet as part of the ESA’s Mars 2020 program. It’s just wrapped a week of testing in the Spanish desert, just one of many Mars analogs space programs use. It looks nice. The gravity’s a little different, of course, and there’s a bit more atmosphere, but it’s close enough to test a few things. It’s nice to roll around on stable wheels, sure, but it’s no use when you want to get to the far side of some boulder or descend into a ravine to check out an interesting mineral deposit. 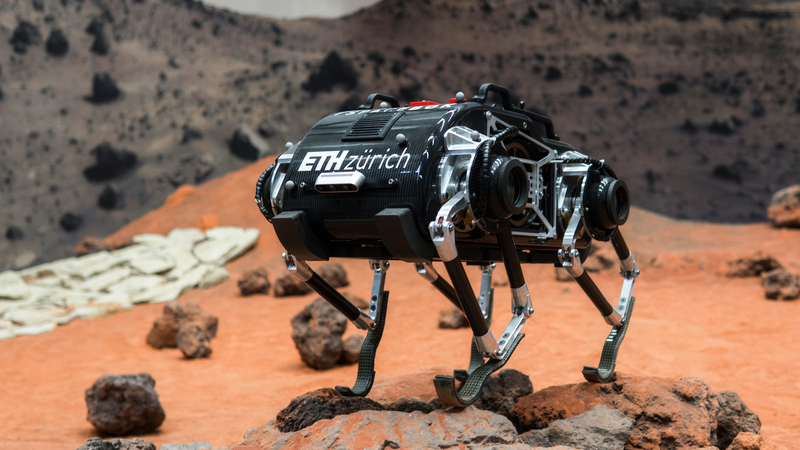 SpaceBok is mean to be a highly stable jumping machine that can traverse rough terrain or walk with a normal quadrupedal gait as needed (well, normal for robots).